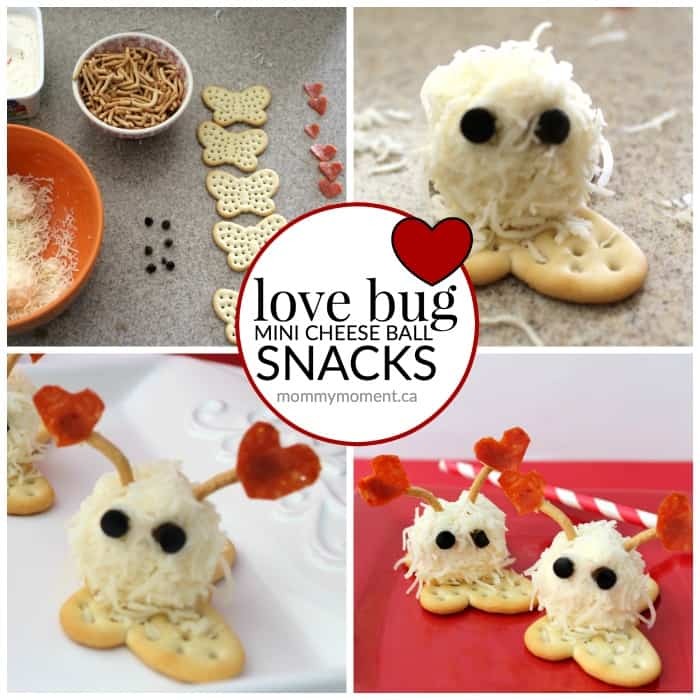 These love bug mini cheese balls make such an adorable treat for kids. They are perfect for Valentine’s Day or any special day. This is a great snack idea for school parties as it is not like the common sweet treats that often have kids bouncing off the walls. 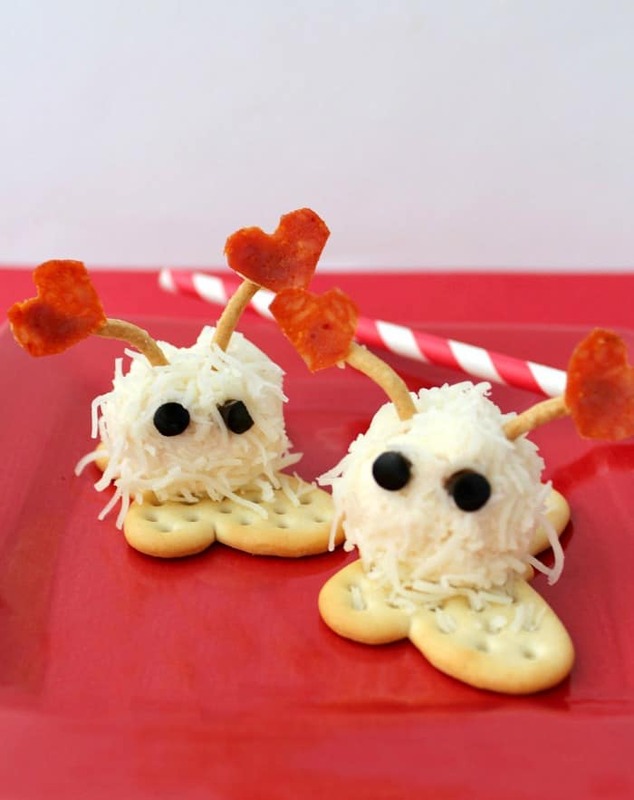 Kids would enjoy helping create these super cute mini cheese balls, although the best part would be gobbling them up after. 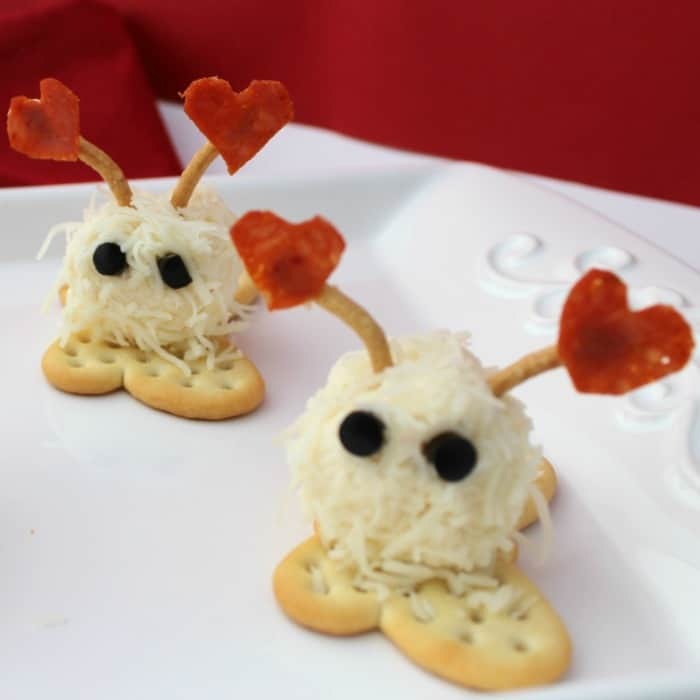 Thanks to Chrystal T for this super cute recipe contribution for Mommy Moment. 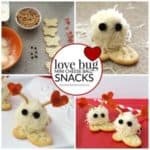 These love bug mini cheese balls snacks are super cute and make a delicious snack the kids will love. Perfect for Valentine’s Day or any special day. Add shredded cheese to a small bowl and scoop out about a tablespoon of cream cheese. Roll cream cheese into cheese to make mini cheese balls. 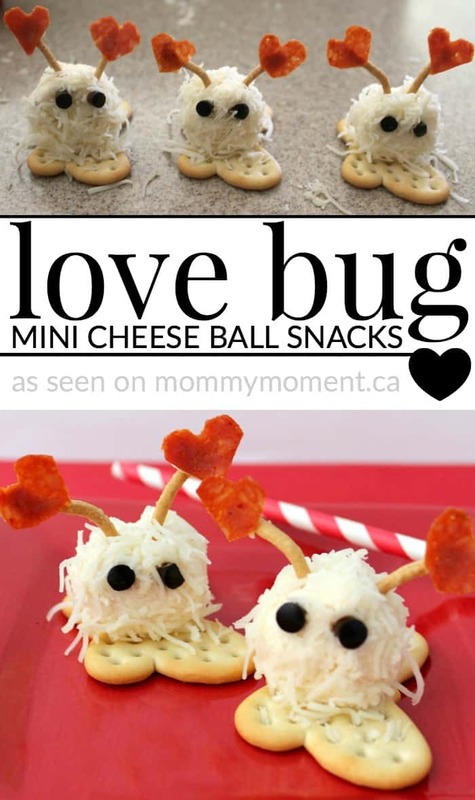 Take your mini cheese balls and set them on top of your butterfly crackers so that your little bug has feet. 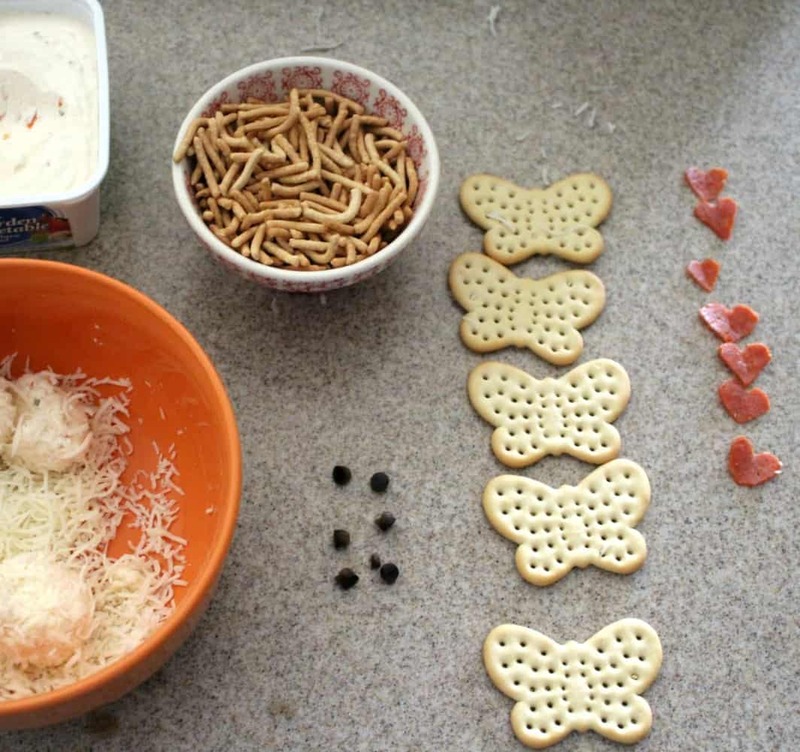 Cut small hearts out of the pepperoni and attach the hearts to one end of the chow mein noodles using cream cheese as glue. Press them into the top of your cheese ball. Using a small pastry tip make the eyes. I sliced the olives in half and pressed the pastry tip into the olive and it made perfect round eyes. We had such a great time making these little guys and I hope your kids enjoy them as well. 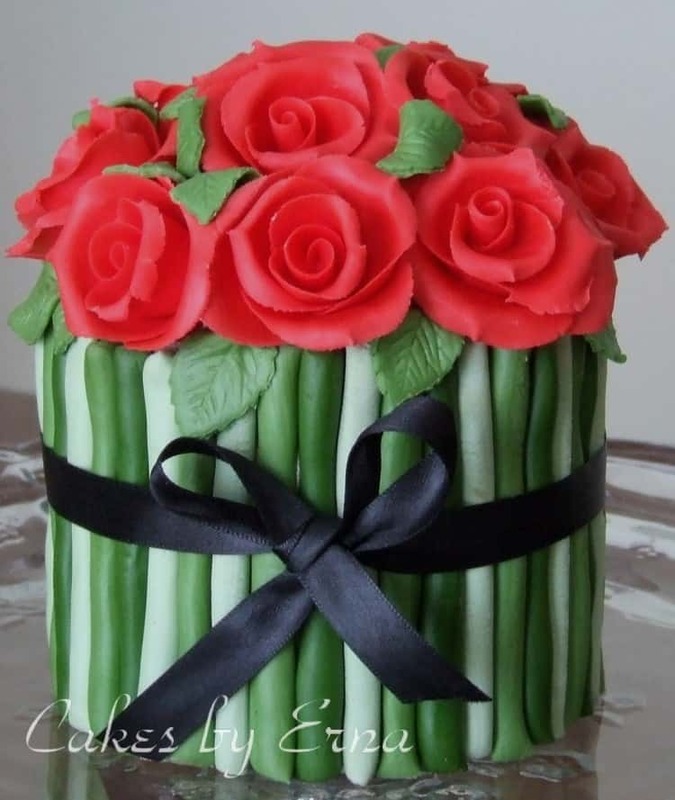 You may also like this DOZEN RED ROSES CAKE. This is such a cute idea! Fun for a party. Great for my daughters lunch thank You. Look the butterfly shaped crackers! I have never seen them before now I will be on the hunt for them!! These are too cute, I’ve got to make some for my granddaughters! These are so cute. Where did you find butterfly shaped crackers? almost to cute to eat!!! these certainly are sweet snacks and will be a nice treat when the grandkids visit !